It's time for our biggest and baddest sale of the year: The "Back to Whatever" Super Sale! If you've been with us for a while now (thank you! ), you know that this is when we break out some of our best deals of the year to help you get back into the swing of things, whether it's starting school or just getting your mojo back heading into the fall. Running through the end of September, look for deals on professional-grade oils and acrylics, brushes, drawing pads, colored pencil sets, canvas, boards, easels, and so much more! Check it out in-store or online! 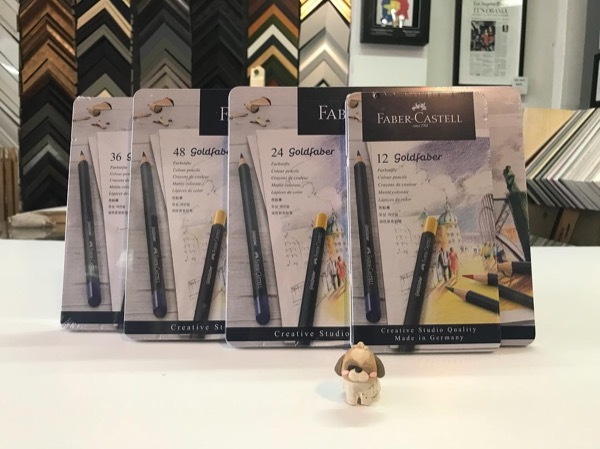 Goldfaber Colored Pencils Sets and Watercolor Pencil Sets are 40% off. Goldfaber Color Pencils offer wonderfully soft and intense color laydown, outstanding color brilliance and excellent lightfastness. High-quality materials and SV bonding along the 3.3mm lead create an exceptionally break-resistant tip. They are water-resistant and smudge-proof. Goldfaber Aqua Watercolor Pencils have vibrant colors, optimum opacity, good lightfastness and are fully water-soluble. Using a wet paintbrush drawings can be transformed into stunning watercolor paintings. Dry drawing techniques of colored pencils can also be achieved with these watercolor pencils. Sets include an assortment of colors in a durable metal tin, and are available in 12, 24, 36, and 48-color sets. Get this special edition 16" × 20" canvas celebrating the 150th Anniversary of Fredrix for $9.99 (in store only). Featuring Gallery formatted profile, this polycotton canvas is primed with acid-free acrylic titanium gesso and is suitable for oils, acrylics, and alkyds. Gamblin Artist Colors oil paints, mediums and sets are 40% off. This includes the 1980 series of student-grade paints. 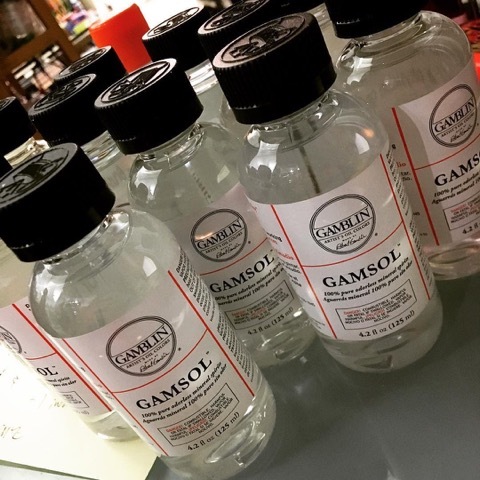 Pure pigments and the finest refined linseed oil are used to make Gamblin Artist's colors. Because no adulterants are used, each color retains the unique characteristics of the pigments, including tinting strength, undertone and texture. Every color is absolutely permanent and exact-each color is based on a specific, pure pigment with nothing extraneous added. 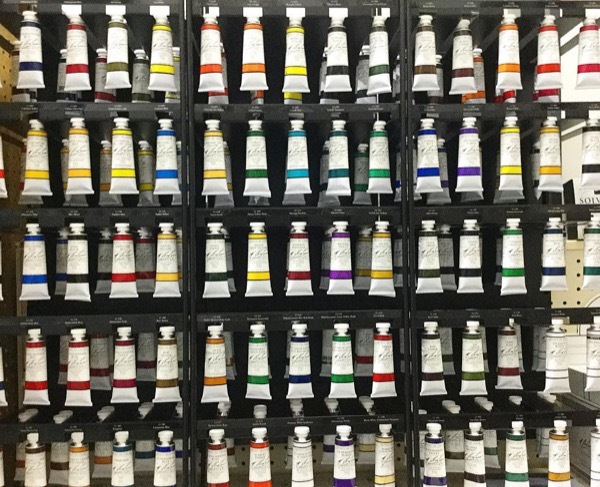 The 1980 Oil Colors offer artists true color for a real value and are intended for painters who are increasing their knowledge of techniques, or experimenting with new ideas. They are made from approximately half the colored pigments of artist grade oil colors and include added extenders that have good film forming properties. The 1980 Oil Colors can be used together on the same palette as Gamblin Artist’s Oils. 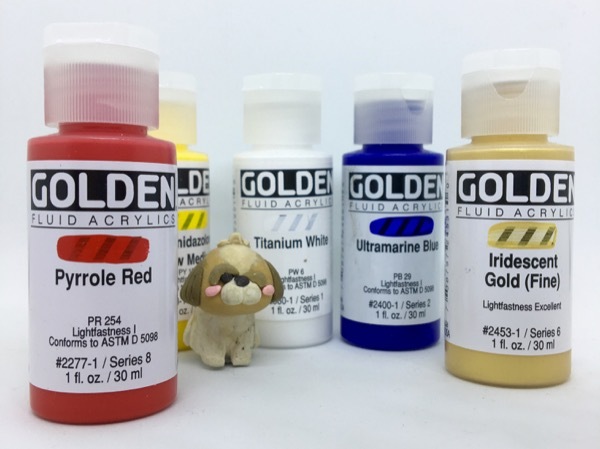 Golden Acrylic paints, mediums and sets are 40% off. Heavy Body Acrylics are smooth, thick, 100% acrylic colors offered in a large assortment of unique pure pigments. There are no fillers, extenders, opacifiers, toners or dyes added and render excellent permanency and lightfastness. Fluid Acrylics are highly intense, permanent colors have a consistency similar to heavy cream. They are produced from lightfast pigments, not dyes. No fillers or extenders are added. Fluid Acrylics contain high pigment levels suspended in an acrylic polymer vehicle. High Flow Acrylics have an ink-like consistency that lends itself to a wide range of techniques. From fine line detail work to broad strokes, these acrylics are suitable for many different applications including calligraphy, mixed media, airbrush, refillable markers, technical pens and brushes. Designed for artists who want to achieve fine line detail, standing effects, and level colors. OPEN Acrylics feature uniquely relaxed working characteristics and a remarkable ability to resist skinning and remain wet on the palette during long painting sessions. Working time varies according to how thickly the material is applied. They are versatile and can be used for techniques where acrylics are normally challenging to use including portraiture, plein air painting, monoprinting and screenprinting. Graham oil colors, mediums and sets are 40% off. Crafted only from artists' pigments, free from extenders or adulterants and dispersed in pure nonyellowing American walnut oil these colors provide a distinctive and traditional value. Used by artists from the Renaissance, walnut oil offers greater freedom of application than poppyseed oil and reduces the yellowing and streaking associated with linseed oil. This slow drying oil allows longer open time. 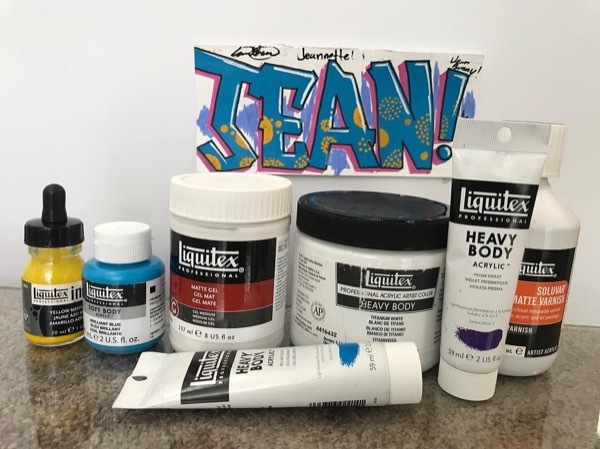 Completely permanent, intermixable and compatible with all other oils, varnish and mediums including alkyd resin products..
Liquitex acrylic colors, mediums and sets are 40% off. Liquitex Heavy Body color has a buttery paste consistency that, when dry, retains the texture left by the brush or knife. Recommended when the artist wants the feel, pull and look of heavy-bodied paint. This sturdy sketch easel is $139.99. 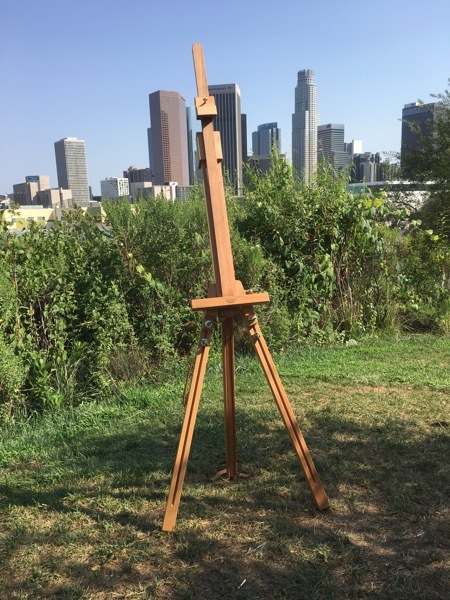 The sturdiest folding sketch easel available, this easel is constructed of oiled beechwood and folds up into a compact unit weighing only 8½ lbs. 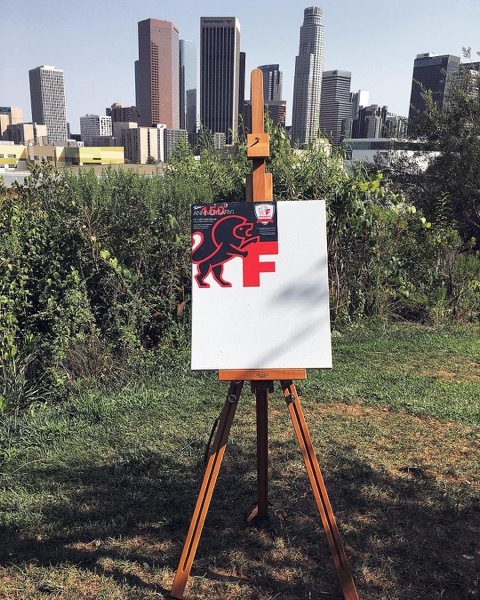 In addition to its lightweight design, a leather carrying handle makes the easel readily portable. A single, heavy-duty wing nut adjusts the rake's angle to any position between vertical and horizontal. The maximum canvas height is 78". Get the 13" × 17" sketch board with matching portfolio for $19.99 or the 23" × 26" sketch board and portfolio for $29.99. These sturdy U.S. made water resistant portfolios have handles and shoulder straps for ultimate ease in transporting your artwork or craft projects. Each portfolio has a generous, roomy pocket that runs the entire width. 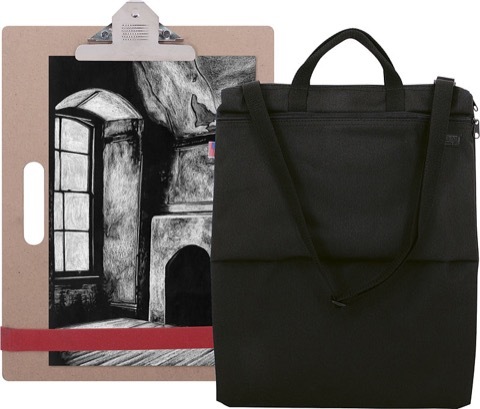 A tote / sketch board is included with each portfolio. 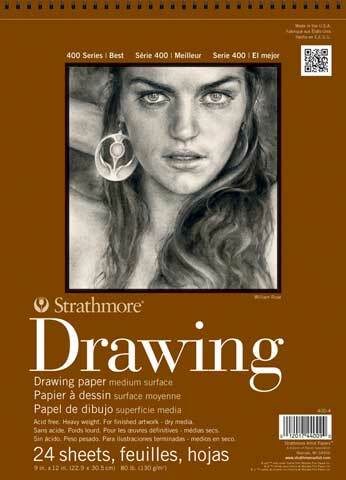 Get the 14" × 17" or 18" × 24" Series 400 Drawing Pad from Strathmore for 50% off. Versatile sheets of cream colored drawing paper for sketching and most finished work. The Medium surface readily accepts pen and ink, pencil, charcoal, crayon and markers. Twenty-four 80 lb., acid-free sheets per spiral-bound pad. 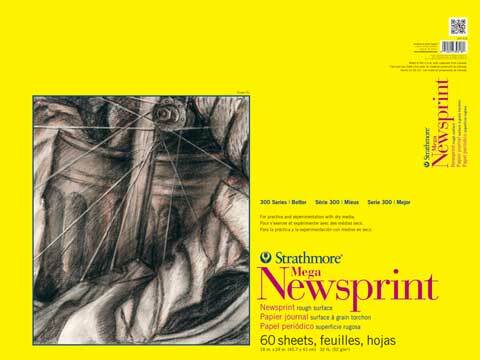 The Strathmore 18" × 24" Mega Rough Newsprint pad with 120 pages and the 18" × 24" Rough Newsprint pad with 50 pages are both 60% off. The most economical paper for those who draw and sketch a lot. Newsprint offers a workable surface for any medium used in drawing and sketching. Williamsburg oil paints, mediums and sets are 40% off. 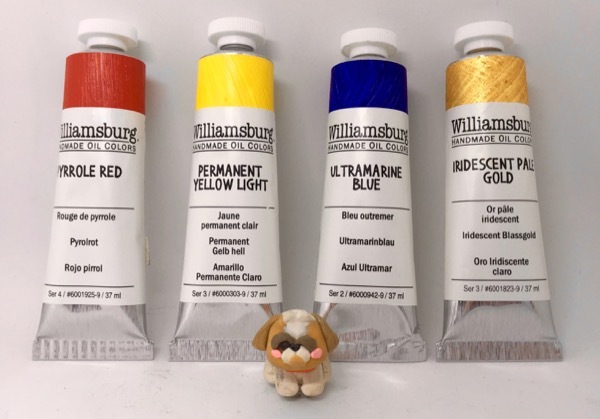 Williamsburg Handmade Oil Colors has one of the most extensive lines of professional grade, quality oil paints. As a painter's paint, there are many things that make Williamsburg colors unique, such as milling each pigment to its own unique standard to develop the richest expression of color and undertone. Some colors feel slightly gritty; others extremely smooth. This approach preserves the range of texture oil paints had in the past. Made in small batches, Williamsburg Handmade Oil Colors are recognized for being richly pigmented and dense. 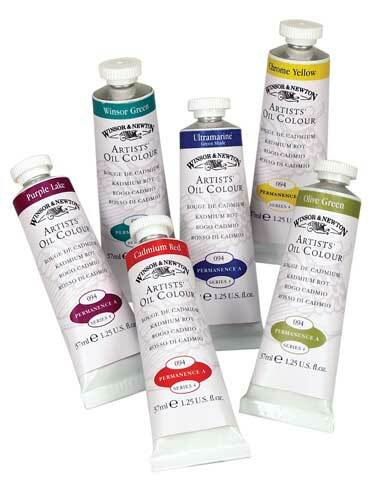 Winsor & Newton Artists' oil paints, mediums and sets are 40% off. The most recognizable features of these artist-quality colors are the extreme fineness to which the colors are ground and the high-pigment content. These qualities provide an exceptional degree of tinting strength. All of the colors are wax-free, allowing the paints to retain their brilliant appearance and smooth consistency. But don’t forget that we offer great prices every day on everything we carry. Check out our online catalog to see what’s in stock.